Fourever was formed in 2000 as a four piece, hence the name. 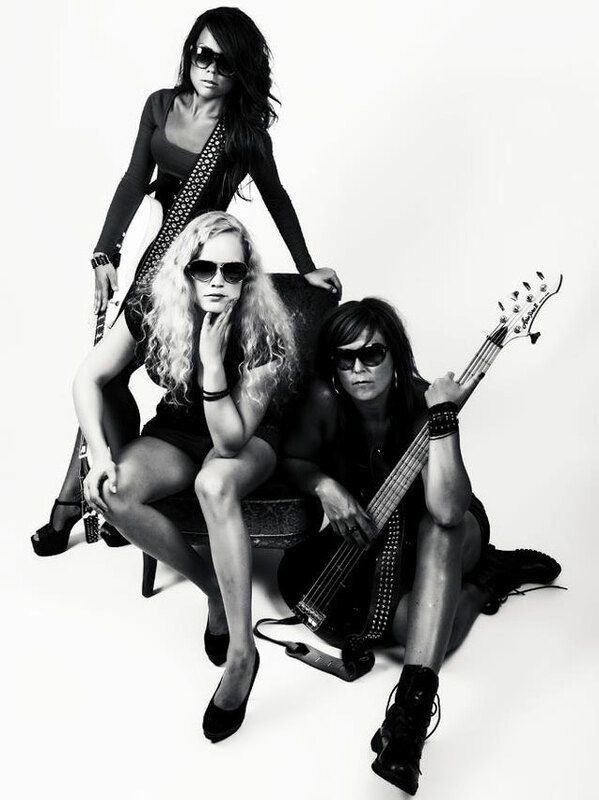 The stem of the band is and has always been twins Mia (guitar) and Nina Moilanen (drums). They grew up listening to their dad’s Rainbow, Iron Maiden and Uriah Heep records.2006 the band released their first demo: New Era.New Era was well received and gained numerous great reviews in magazines like Close-Up and Sweden Rock Magazine, which lead to the band playing Peace & Love Festival in 2007. This was however not the only show. This year the band played over 60 shows all over Scandinavia. 2008 continued in the same vein and Fourever played Rock Off Festival on Åland, Masters Of Rock Festival in the Czech Republic and they also did a tour supporting heavy rockers Sabaton. Late 2008 the band started recording what finally became the band’s debut album. Various obstacles however made the recording drag on, making the band a bit frustrated.So, the road may have been long, but the album, entitled Solitarium, has been well worth the wait. In 2010 the band became historic being the first ever female hard rock band to tour Egypt.